DataTracks, a leading XBRL conversion service provider in Ireland, UK and other EU regions, has announced its readiness to prepare financial statements in iXBRL in accordance with the recently approved FRS 101, FRS 102, and EU IFRS taxonomies for filing with the Revenue in Ireland. Revenue Ireland introduced additional taxonomies (FRS 101, FRS 102 and EU IFRS with Irish extensions) on 16th December 2016, as a Public Working Drafts (PWD). Interested parties were invited to review the PWDs for the three additional taxonomies and provide feedback by 28th February 2017. From June 23rd 2017, XBRL Ireland has made available the final 2017 taxonomies for reporting under FRS101, FRS102, and IFRS accounting standards in the Republic of Ireland. This release is intended to provide reporting entities and solution providers a stable framework for modelling financial reporting in the Republic of Ireland under various accounting standards and the technical reflection of these reports in the iXBRL format. The Phase 1 and Phase 2 Corporation Tax filers are expected to apply this standard with immediate effect, and early adoption is encouraged from the rest of the filers. In an earlier publication, Áine Brennan, of Revenue Commissioners, had outlined Revenue’s perspective on the key corporate tax considerations that will arise when a company transitions from Irish GAAP to FRS 102. Accounting experts predict an increase in effort and therefore cost. The new Irish GAAP (FRS 102) is semantically different from the existing Irish GAAP. Challenges to Irish business when adopting FRS 102 (or Irish GAAP) include notes to the financial statements involving ‘accounting for intercompany loans’, ‘pensions’ and ‘derivatives’. Applying FRS 102 will need more planning as the transition from existing systems will be more time-consuming than may have been expected. 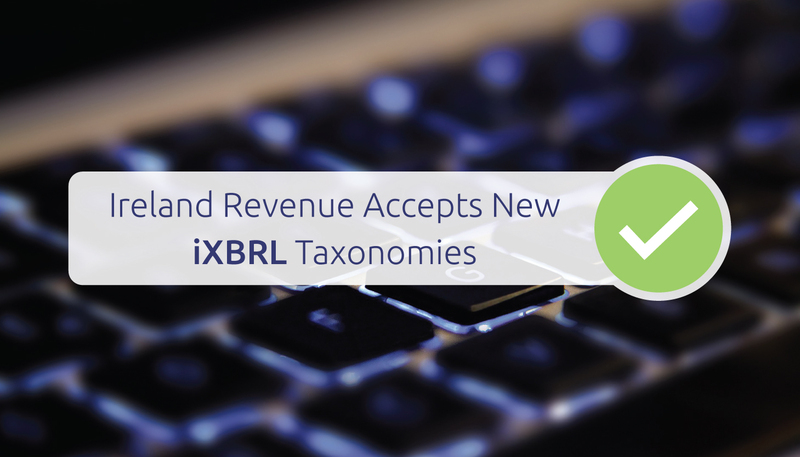 This impacts the effort and cost for creating the iXBRL documents as well. Experts advise that it is best to plan early and involve valuation experts, tax advisors or other managed tagging specialists. DataTracks team has helped more than 8,000 companies successfully complete the iXBRL transition to the new FRS accounting standards in the UK. They can help companies plan and prepare for iXBRL tagging under New Irish GAAP for filing with Revenue. Arjun Ram, Business Development Manager at DataTracks says, “In this introductory year of filing new Irish GAAP iXBRL files, managed tagging services could be a more meaningful choice for companies and firms that are looking to reduce time efforts and optimise the compliance report preparation cost without compromising on the quality”. DataTracks, recognised by HMRC in the UK, makes it very easy and simple for their clients to prepare iXBRL reports for Revenue Ireland compliance. Companies and Accounting Firms can simply register online, choose turnaround time, pay the fees and upload financial statements. iXBRL files will be ready for download within the promised turnaround. This is complemented by competitive pricing and world class customer support all the way till successful filing with Revenue. About DataTracks: DTracks Limited is a subsidiary of DataTracks Services Limited. DataTracks is a global leader in the preparation of financial statements in XBRL and iXBRL formats for filing with various regulators. With a track record exceeding twelve years, DataTracks prepares more than 12,000 XBRL statements annually for filing with regulators such as HMRC in the United Kingdom, Revenue in Ireland, SEC in the United States, ACRA in Singapore and MCA in India.